Need a last minute gift? These are perfect and super cheap right now! Need a last minute gift? Here are some great deals I found on magazines! A magazine is a gift that keeps on giving! Just wrap up a picture of the magazine they will be getting starting in January! I ordered a subscription when my oldest was a toddler and they have been enjoyed by my other two kids just as much! I have taped them back together numerous times! Alison’s kids received a Zoo books subscription for Christmas last year, and they have LOVED them! I am amazed at the adorable pictures in the toddler one! I am going to give a subscription to Zoo books to my 3 year old for Christmas. She loves to see and learn about animals, especially baby animals. I think I will wrap up a picture of the magazine with a little stuffed animal. She will be so excited every time she gets her very own magazine in the mail! Here are some other popular 1 year subscriptions that I found for great prices. « Fun Family Frugal Tradition #2 Story Toes! 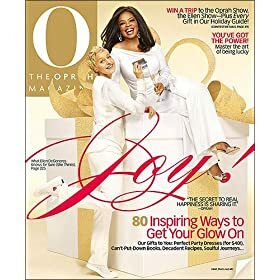 I clicked on the link and the Oprah mag (which is ideal for someone on my list!) came up as regular priced…? Please advise, I’d love to cash in on this $5 deal! Sorry, when I posted yesterday it was only $5.00 – it must’ve been a short sale:( Still not a bad price at 18.00. Thanks for letting me know the price change! When it comes to Christmas shopping let’s face it, it’s a jungle out there so it’s best to be prepared. Doing Christmas gift shopping online offers Christmas shoppers the ability to comparison-shop for bargains, and find the most unique and cool gifts, all without venturing out into the crowded and busy streets of the Holiday season. I’ve done that too, it’s a great idea!